With so many miles of waterways and canals in the Miami area, it is no wonder that boating and yachting are favorite pastimes of Miami residents and visitors. From cruising around one of the area canals to the Intracoastal Waterway and out into the Atlantic Ocean, boating in the warm Florida sunshine and pristine blue waters is something that everyone enjoys. 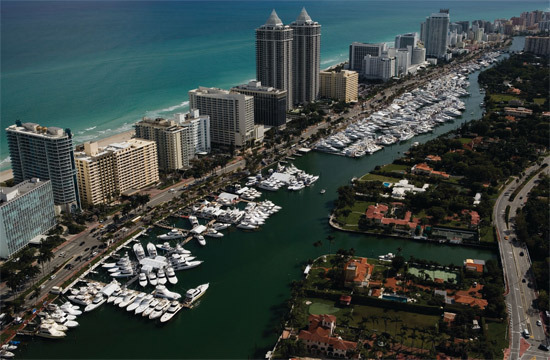 While many owners have the ability to dock their vessels along their private docks, others living in Miami condominiums or non-waterfront homes choose to moor their vessels at area marinas and yacht clubs. Whether privately-owned or city-owned, there are more than several from which to choose depending on where you live. 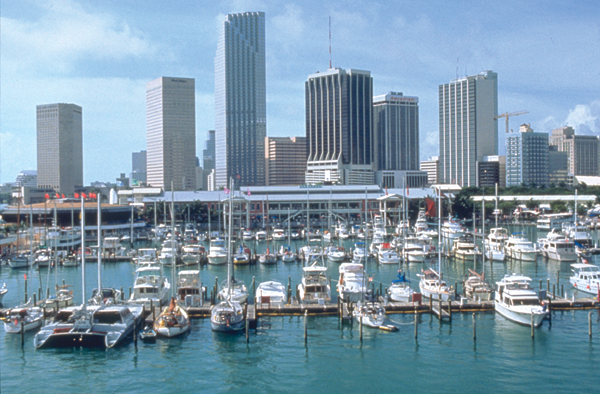 Following are three of the most popular city-owned marinas in Miami along with available Miami real estate. Owned by the City of Miami and situated in Downtown, this is probably one of the most popular marinas in the area. Located adjacent to Bayside Marketplace and all of its shopping and dining, it is close to everything. Area condominium residents can easily keep their vessels here with no concern. It is situated on the ICW with no fixed bridges at the west end of the Government Cut and features 130 slips that accommodate vessels up to 150 feet in deep water slips. One of the nicest advantages is that Miamarina dockage is available on a transient, long-term or commercial basis which is great for those wanting to enjoy Miami by boat. With attractions like the Miami Children’s Museum, American Airlines Arena and others so close to the marina, this is a very popular marina for many area boaters and yachters. In terms of downtown real estate that is close by, some of Miami’s most famous downtown addresses are a short walk or drive from Miamarina with list prices ranging from the mid to upper-$100s for a studio or one-bedroom at the Lofts Downtown and Capital Lofts to luxury multi-million dollar penthouses at condominiums like Ten Museum Park, Marquis and 900 Biscayne, there is definitely a Downtown Miami condo to fit every budget. Miami Beach Marina is located on the southwest tip of South Beach at the east end of the Government Cut just across from Fisher Island. Accommodating up to 400 boat slips for vessels up to 250 feet, this marina offers fresh water, electricity, telephone, and cable hook ups for each slip as well as a control tower with state of the art weather service and 24-hour dock attendants and security. It also features a heated swimming pool, laundry and shower facilities, air conditioned restrooms and washers and dryers. With taxi service to world-famous South Beach activities and entertainment, this is an outstanding Miami marina. South Beach real estate features a number of condominiums in SoFi and other parts of South Beach that are close by so that boat and yacht owners are near their prize possessions. Overlooking the marina are condominiums like Icon South Beach, Murano Portofino, Yacht Club at Portofino, and Murano Grande with list prices starting in the mid-$600s at Icon South Beach to the multi-millions at Murano Portofino and Yacht Club Portofino. Just a short distance from the marina are some of the most exclusive SoFi condominiums including Portofino Tower, Apogee, South Pointe Towers and Continuum. 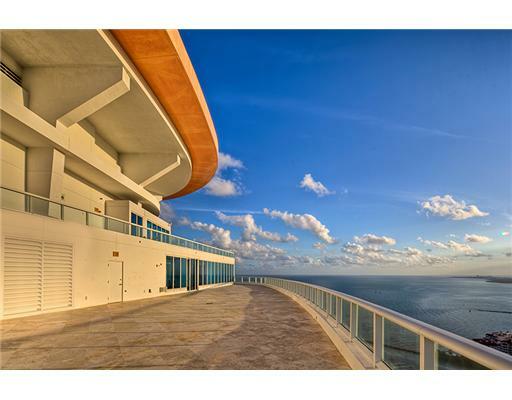 These condominiums sit on the southernmost point of Miami Beach and feature some of the most unbelievable panoramic views of all of Miami, the ICW and the Intracoastal Waterway. List prices in these condominiums start in the mid to upper-$700s and low-$800s for a studio or one-bedroom unit at South Pointe Tower and Continuum and climb to over $20 million for a penthouse residence at Apogee. 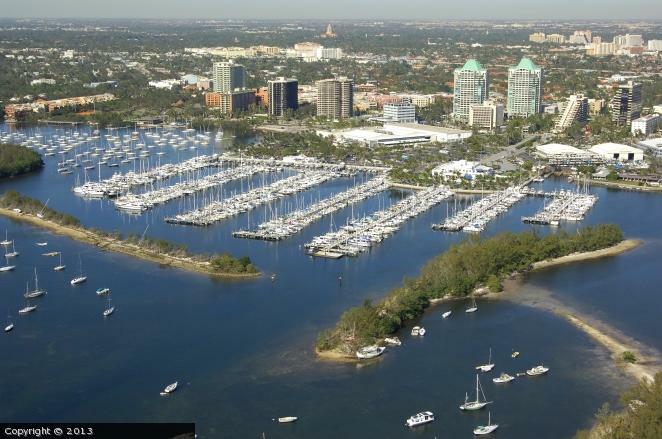 So much history surrounds Dinner Key Marina beginning with its location in Coconut Grove. It was originally developed as a naval air station in 1917 then served as a base for Pan American’s famous Clippers, and again as a naval air station during the World War II. 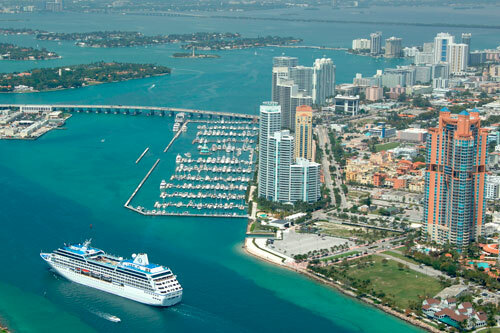 Surrounded by much of what historically was Pan American Airways terminals and other historical sites, today, it is a popular City of Miami-owned marina for Coral Gables and Coconut Grove residents as well as those visiting the area. It is close to historical sites like Villa Vizcaya, a museum and former home of International Harvester founder James Deering as well as a short walk to the center of Coconut Grove village and CocoWalk. Comprised of 582 slips and long-term moors, the marina is Florida’s largest wet slip marine facility and features modernized mooring for many sizes of yachts and vessels. It also houses a mooring facility just off shore where high-quality steel moorings provide additional space for boat and yacht owners who berth their vessels at the Marina on a long-term basis. In terms of Coconut Grove real estate, several area condominiums close by include the Grovenor House, Cloisters on the Bay, Mutiny Park, and the Ritz Carlton Coconut Grove where list prices start in the mid-$100s at Mutiny Park and climb to the multi-millions at Grovenor House and the Ritz. As for single family home Coconut Grove neighborhoods, some of the most exclusive neighborhoods are within a very short drive and have list prices from the upper $600s to the multi-million dollar level. Because of the extensive waterways, there are so many other marinas in and around Miami that it would take forever to list and describe every one of them. From public marinas where visitors can dock for a day or a week to private yacht clubs with marinas and private slips, any boat or yacht owner interested in Miami real estate has the ability to find the perfect residence as well as the perfect marina. After all, it is Miami! Wonderful, interesting and thanks for the information shared by you. The Miami is perfect place for mariners for joining the boat shows throughtout the world undoubtedly. Thanks for the valuable info highlighted by you. Miami is the best hub for the most classiest marinas to keep our vessels in. Miami is also the best place to deal with boat available for buying and boat for sale.